Sleep deprivation, competitive classmates, patronizing attending physicians, challenging patients, ethical dilemmas, stressful exams — these are all common aspects of the medical school experience. In The Mindful Medical Student, psychiatrist Jeremy Spiegel does not attempt to make medical school any less demanding. Rather, he focuses on assessing how the process can be more personally meaningful, so that it becomes something to appreciate rather than something to be endured. Of the book’s three sections — “Discovering who you are,” “Reinventing yourself” and “Blazing a path to your deeper self”— Spiegel is most successful in the first. The development of greater self-awareness, Spiegel argues, is fundamental to a healthy journey through medical training. The themes of Spiegel’s book centre on the notion of a multifaceted identity. He describes a “true self” and a “false” (or performing) self and how, through conscious effort, a student can learn to nurture the former and deconstruct the latter. Balancing the theoretical discussions are vivid real-life anecdotes from medical students. Spiegel takes a Freudian psychoanalysislite approach to common experiences, framing his discussion in terms of transference, defences and the unconscious. One example is the humorously entitled chapter “Dream Interpretation for First-Time Scalpel Wielders.” Another chapter about archetypes and synchronicities has a more Jungian slant. Other chapters deal with more concrete issues, such as managing your perfectionist or obsessive–compulsive tendencies and learning how to form supportive bonds with classmates. 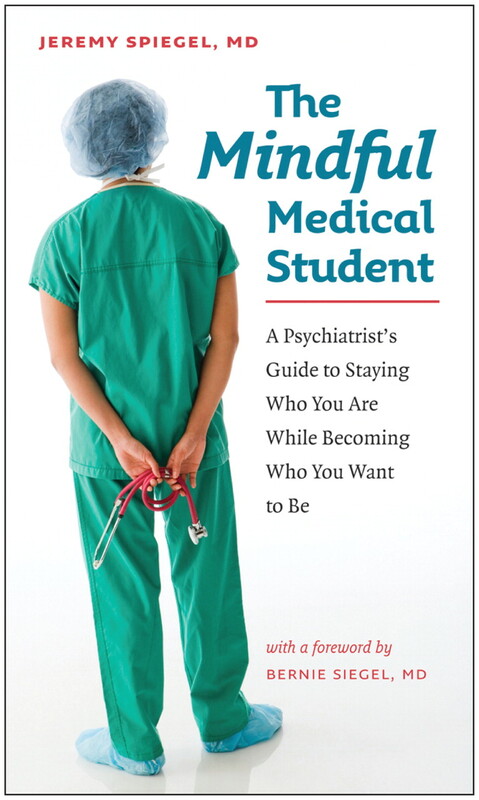 What sets The Mindful Medical Student apart from similarly themed books is its emphasis on achieving clarity, reflective capacity and wholeness through the creation of a uniquely personal narrative. Spiegel’s techniques facilitate the processing of experiences so students take an active role in moulding their own transformation and protecting themselves against emotional shutdown and cynicism. Spiegel draws on literary, philosophical and spiritual sources to combat what he refers to as “right brain atrophy” and “relationship anemia.” The goal is to move away from compartmentalized identities and rigid defenses, and to develop a more integrated and consistent personality, one that is capable of treating self, patients and colleagues with equal compassion. The Mindful Medical Student is an enjoyable read with an entertaining conversational style. Despite its title, the book shares valuable insights that may be useful for all health care providers in training. It is essentially a manual on how to maintain sanity in an often gruelling medical environment and culture, makes a compelling argument that self-care is not a luxury. It gives students permission to step back from their textbooks, to distinguish the forest from the trees and to appreciate their special place in that forest.